Founded in 1976, Jackie Greene Construction Ltd. is now at the forefront of the Irish Construction Industry. The company prides itself on the quality standards achieved in all it's previous and current developments. 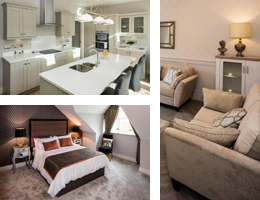 At the moment we are working on Family Homes in Wilkin’s Court / Wilkin’s View in Dublin 12, Office and Industrial units in Dunshaughlin, Co. Meath and residential homes in Carlow Town. We are also awaiting the planning decision for a residential scheme in Waterford City.